OFFROAD FILMS — INK INc.
“We don’t make movies to make money, we make money to make more movies.” - Walt Disney. That statement represents our clients’ philosophy. 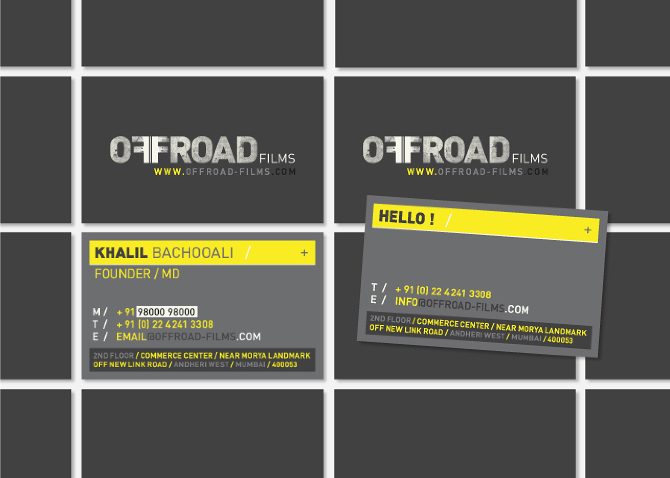 Offroad Films is an international production house that is driven by a passion to take creativity to the next level. Rather than redoing the ‘done’, Offroad, with its unconventional approach to film production, brings a unique perspective to the table, everytime. Offroad does not merely produce films, they craft them. Offroad approached us to develop a brand identity that brought to life their unique value proposition – that of providing solutions based on creativity, strong ideas and superior execution. 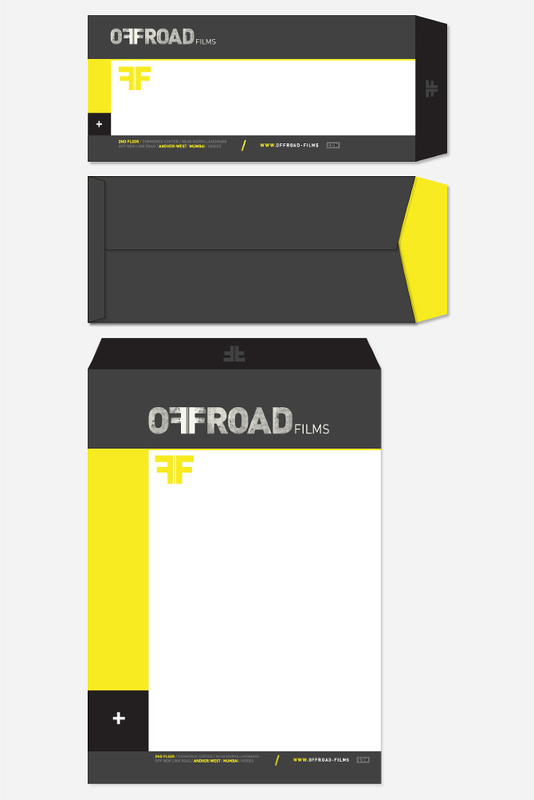 When conceptualizing the new identity, we sought to emphasize the strong, bold, distinct, edgy and international character of Offroad. We also intended that the new identity would be used on packaging, print, tshirts and digital, and we therefore designed it to work effectively across medium. 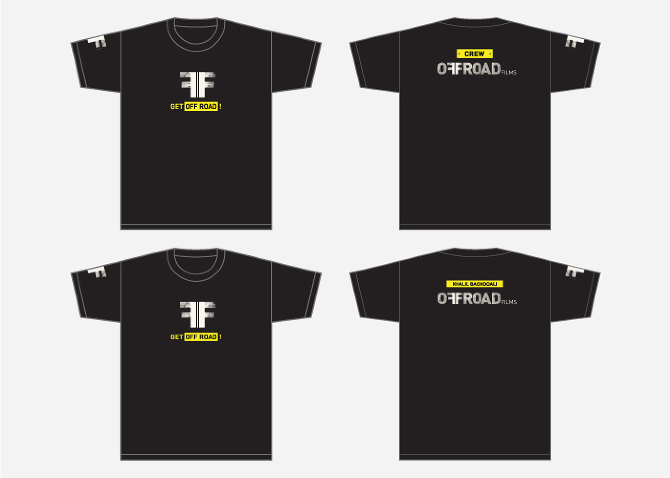 The double ‘F’ in Offroad allowed us the flexibility of a symbol that was contained in the name itself. It was designed to be a graphic representation of the word ‘offroad’, without compromising readability. The textured, grainy feel of the logo was used to represent the core of the company - Films. Sophisticated, bold and unique colors - we choose yellow as the primary color, and different shades of grey for contrast. The colors were chosen because they were distinct and worked across multiple media. The grey color palette was chosen to balance and enhance the rich color palette of the films. Advertisement for Industry Sector Magazine. 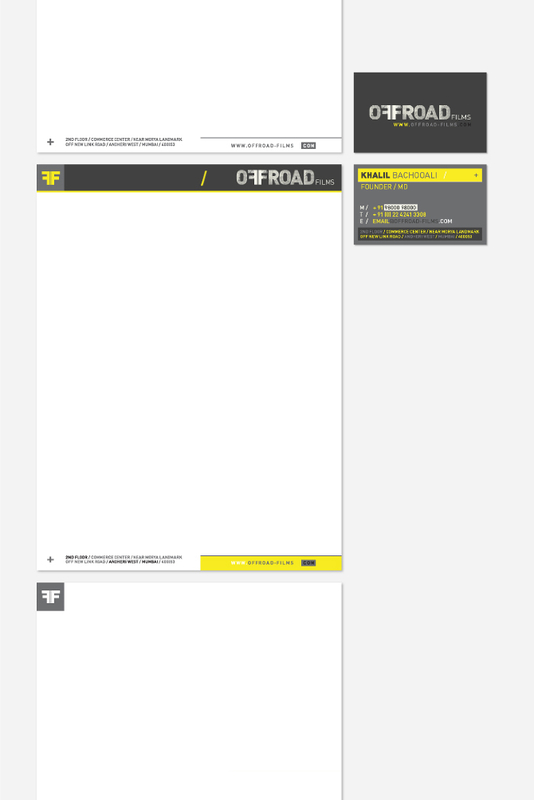 The Offroad website served a dual purpose. First, as the online ‘face’ of the company, the website needed to reinforce the company’s USP of perfectly blending creativity and flawless execution. 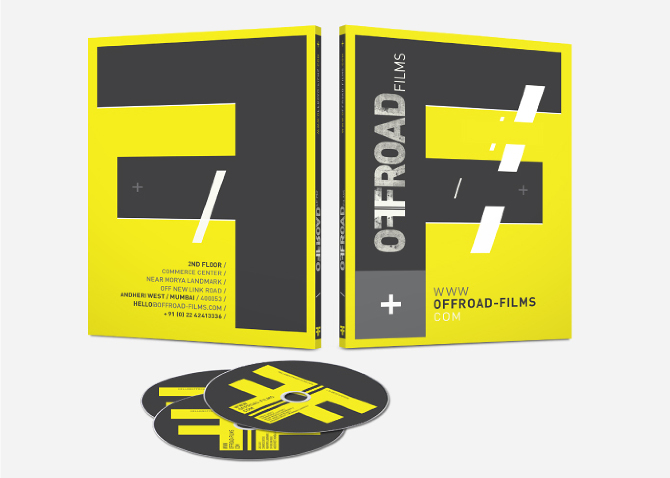 Second, the website was expected to showcase Offroad’s work, while also celebrating internationally acclaimed directors and their films. Work Menu / Film Widgets. Ink Inc. conceptualized the website with films as the focal point - the pivot around which everything else revolved. Like portraits mounted on the wall, each film would have its pride of place on the Offroad website. Work Menu / Film Widgets / Detail. The widget-based layout was used to bring flexibility to the interface, to ensure a responsive design and to seamlessly enable movement between film, director and category. Each widget contains the film video, the name of the director, the brand, and related tags. Clicking a tag (or category), or a directors’ name, loaded all projects associated with that particular director, tag (or category). Clicking on a tag opens up all films as well as directors associated with that tag category.